THE CELEBRATION OF “JUNETEENTH” ORIGINATED ON JUNE 19, 1865, WHEN THE ENSLAVED PEOPLE OF TEXAS FINALLY LEARNED ABOUT THEIR FREEDOM – TWO YEARS AND SIX MONTHS AFTER PRESIDENT LINCOLN’S “EMANCIPATION PROCLAMATION”. ACROSS THE DIASPORA, QUESTIONS OF IDENTITY, COLORISM, LABOR, AND GEOGRAPHY CONTINUE TO IMPACT PEOPLE OF AFRICAN DESCENT. THIS PROGRAM OFFERS A LENS, FROM BOTH A HISTORICAL AS WELL AS CONTEMPORARY PERSPECTIVE, THROUGH WHICH WE CAN VIEW HOW RESISTANCE, PERSISTENCE, AND SELF-DETERMINATION HAVE BEEN THE KEY TO SURVIVAL FOR PEOPLE OF AFRICAN DESCENT, AND THE BASIS FOR THEIR ACHIEVEMENTS ABOVE AND BEYOND GEOGRAPHICAL BORDERS AND EXTERNAL EXPECTATIONS. FOLLOWED BY Q&A MODERATED BY RHEA COMBS, FILM CURATOR, SNMAACH. As travel and technology continue to shrink the globe, so does the third largest continent in the world. “Africa is a Country” is a popular blog whose title parodies how westerners (including the current U.S. President) have traditionally regarded the continent of Africa. The launch of this film series provides an alternative glimpse into the current creative, vibrant contemporary film scene in Africa, highlighting distinctive films from Nigeria and South Africa in this inaugural launch. Combining the two unlikely genres of comedy and thriller, Greed tells the story of an attempted robbery that goes very wrong from three contradictory points of view. A product of the “New Nollywood”, the film’s director is a young 27 year old Dare Olaitan. An obvious Akira Kurosawa fan, Dare is also an economics and business management major who acknowledges the potential for economic growth in the African film marketplace. This is his first feature film. An aspiring novelist with writer’s block, Moratiwa runs a second hand bookstore in the hippest part of Johannesburg. Meeting the man of her dreams takes our heroine on a journey of comic encounters in this charming, funny and romantic film. Revealing a tangible chemistry between the two lead characters, the film also shows a side of Johannesburg rarely seen. This is Nigerian born Akin Omotoso’s third feature film, situating him as a dominant player in the world of new African cinema. A love story with an interesting twist – revealing the role Santeria plays in a destined relationship. While based on the island of St. Lucia in the Caribbean, Davina Lee attributes that much of her work is influenced by folklore that journeyed across from the African continent, carried down from generation to generation. This short film documents the last encounter between the Biafran warlord Emeka Ojukwu, and Ifeajuna before the latter was executed for treason during the heat of the Biafran war. The both childhood friends find themselves on the side of the cause. The film won Best Score at the AMVCA in 2017, and a Jury Special award at AFRIFF 20. Q&A TO FOLLOW AT 1:00PM AFTER TELL ME SWEET SOMETHING WITH SEAN JACOBS AND AFTER THE 6:00PM SHORTS PROGRAM WITH WRITER, DIRECTOR AND PRODUCER ADETERO MAKINDE. WORDS OF CHANGE: DR. MARTIN LUTHER KING. JR.
On February 6, 1964 Dr. Martin Luther King, Jr. delivered a speech at The New School entitled The Summer of Our Discontent. To honor this, The New School and Project1voice invite you to Words of Change: Dr. Martin Luther King, Jr. at the New School. The event will focus on the text and themes from his speech that bear a striking similarity to modern-day events, and utilize the six artistic disciplines - music, theater, dance, film, photography and visual art to memorialize Dr. King and his legacy of hope and inspiration. The event is being held on the anniversary of King's death and will begin at the precise time of Dr. King’s assassination, 6:01pm. This event is co-sponsored by The Executive's Dean's Office of the Schools of Public Engagement, The Bachelors Program for Adults and Transfer Students, The Social Justice Initiative, Global Studies, and Urban Studies. Honoring and respecting women of color continues to be an underrepresented notion in mainstream media. This series provides a selection of short films, all by women of color, on a range of contemporary topics including idealized notions of beauty and colorism, family and identity, sexuality and relationships. Dreams in Transit is a poetic, cine-essay style documentary reflecting on the theme of identity and belonging for contemporary migrants. The narrator, a London-based Trinidadian, returns to the Caribbean to explore the meaning of ‘home’ and where it is that both migrants and non-migrants might be said to ‘belong’. Using a kaleidoscopic collage approach, the film weaves actuality, poetry, narration, fiction, and interviews with a range of people: from fishermen to artists and cultural commentators. Perhaps identity is not so much a fact but a production, which is never complete, always in process. Aura Taibel has cleaned the houses of others for over thirty years. Through her service, Aura may be perceived as quiet and unassuming. Yet, in reality, Aura is a driven worker who skillfully navigates New York City while facing the challenges of being an outsider. Through Aura’s eyes, we learn about the challenges of living and working as an immigrant in the U.S., who, like many others, go unnoticed. Aura emerges triumphant as a promising real-estate entrepreneur in her native Colombia. A common occurrence in the Caribbean, a young girl is being raised by her “Auntie,” who steps in as parental surrogate following her mother’s migration to London. This arrangement has its downside, as neither child nor caregiver can know when their makeshift family could be torn apart. So goes the story in “Auntie”. But there is another side to this issue. For some families, the time spent apart can never be recovered. “Auntie” is a story that is at once universal — exploring conflicts of kinship, matriarchy and family ties — and particular, in its representations of a Barbadian experience. When the filmmaker’s 86 year old grandmother (Mee-Mah) was hospitalized after a stroke, her 8 children became irreconcilably divided over her small estate. Through the story of the family, and supporting interviews with researchers, lawyers, authors, and financial planners-- Black Heirlooms examines how we pass things on from one generation to the next and where we are going wrong. Can we ever close the widening wealth gap? And why does it matter? Is the value of family estates more or less important than the access that wealth can provide? This is a film about intergenerational wealth, and a personal and cultural examination of the wealth gap in America. THE SCREENINGS WILL BE FOLLOWED BY A Q&A SESSION HOSTED BY MICHELLE MATERRE WITH THE FILMMAKERS, WHERE THE AUDIENCE WILL GET A CHANCE TO ASK QUESTIONS AND INTERACT WITH THEM. For Paradise is a hybrid documentary that traces the construction of racial identities within a family where members operate on both sides of the “color line.” Allowing the story of her great-grandmother Paradise to guide the viewer through complicated family histories of migration and racial passing, the filmmaker successfully navigates the spaces where power can be found in absence and loss. The filmmaker’s great-grandmother was a black woman known for her exquisite beauty, yet there are no recorded images of her. Her name was Paradise. Field Notes is an experimental portrait of the ghosts embedded in the culture of the island nation of Trinidad and Tobago. The film is structured as a visual and aural field guide to the ghosts spirits and jumbies throughout the island: from personal tales about shape shifters and bloodsuckers, to the ghosts of Trinidad’s past. The film focuses on the places where the natural and supernatural collide. Charcoal captures the parallel stories of two black women and their lifelong journey to overcome internalized colorism, find self-acceptance and ultimately redemption. Despite the vast distances between them, these women both face a barrage of social messages from strangers and loved ones alike. Yet through this painful erosion of their self-worth, these women rediscover their power and undergo a metamorphosis. They fully embrace the beauty, versatility and dignity of their melanin and begin to disrupt the generational cycle of self-hatred within communities of color. Sixteen is my mother’s coming of age story. It is an exploration in memory and what time can change. The sound and image form a marriage between the past and the present in three layers: the story of a difficult childhood, the photos of a beautiful adulthood and the fragile cracking audio of a voice recounting these fading memories. These juxtapositions work simultaneously to tell the story of a coming of age that happened over the course of many years, but many years too late. The Knot is a short magical realism film, based on a true story of manufactured love gone wrong. 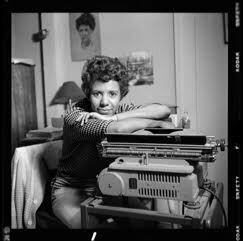 In the late 1950s, when Lorraine Hansberry set out to write a play about the struggles of an ordinary black family on Chicago’s South Side, no work by a female African-American playwright had ever been produced on Broadway. Nearly six decades later her acclaimed, groundbreaking play “A Raisin in the Sun” remains a beloved theatrical jewel, but the fascinating story of its author is not widely known. In the new feature-length documentary Sighted Eyes|Feeling Heart, award-winning filmmaker Tracy Heather Strain explores the life and work of this passionate writer and civil-rights advocate, who played a significant role in the major cultural and political movements of her time. Narrated by award-winning actress LaTanya Richardson Jackson and featuring the voice of Tony Award-winning actress Anika Noni Rose as Lorraine Hansberry, Sighted Eyes|Feeling Heart is filled with insightful on-camera interviews with those who knew her best, and rare archival material, creating a nuanced portrait of an activist and artist whose words and ideas are as relevant today as they were when she first wrote them. Strain produced the festival favorite documentary Adrift: Lost on the Road of Expectations (2002) and wrote and directed the notable episode “Building the Alaska Highway” (2005) for the long-running PBS series “American Experience.” She also wrote and directed “The Story We Tell,” an installment of “Race: The Power of an Illusion,” a three-part documentary that aired on PBS in 2003. Strain’s most recently broadcast documentaries for “American Experience” are “The Mine Wars” and “The Battle of Chosin,” serving as coordinating producer on both. The first tells the story of West Virginia coal miners’ uprisings in the early 20th century; the other revisits a pivotal 1950 Korean War battle, the first major military clash of the Cold War. Previously, Strain directed and produced episodes of two award-winning documentary miniseries: “Unnatural Causes” (2008), winner of the duPont-Columbia Award, and “I’ll Make Me a World: A Century of African-American Arts” (1999), a Peabody Award winner. She was also associate producer of one episode of the 1993 series “The Great Depression,” a nominee for the Television Critics Association (TCA) Award for Best Program of the Year. Each of these projects aired on PBS. Strain worked as an art department coordinator on Mira Nair’s 1991 feature Mississippi Masala, starring Denzel Washington. She began her career as a production secretary at The Chedd-Angier Production Company in Watertown, Massachusetts, which produced science, nature and technology-focused public television episodes. A graduate of Wellesley College, Strain received her master of education degree (technology, innovation and education) from Harvard. She is now a professor of the practice at Northeastern University in Boston, where she teaches documentary production part-time. When Strain isn’t working she can usually be found on the tennis court or at the gym. RANDALL MACLOWRY (Producer, Editor) is an Emmy® nominee and two-time WGA Award winner who works primarily in the television arena. A director, writer, producer and editor with over 25 years of experience, he crafts documentary stories that connect society’s large historical and cultural narratives with individual life journeys. Much of MacLowry’s work has been for the PBS series “American Experience,” most recently “The Battle of Chosin” and “The Mine Wars.” He directed and produced both episodes, which aired last year. Since 2001 MacLowry has produced eight episodes of “American Experience,” directed six, written or-co-written four, and edited four episodes of this award-winning PBS series. He also edited an installment of “Race: The Power of Illusion,” a three-part documentary that aired on PBS in 2003. Other editing credits include the 2013 short film The Man Who Stole the Moon, 2011 “Frontline” episode “The Silence” and Gaining Ground: Building Community on Dudley Street, an hour-long documentary released in 2012. He also co-produced one episode of the 2008 documentary miniseries “Unnatural Causes” and directed the 1998 short film Head Over Heels. 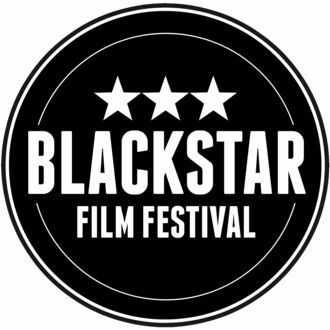 This short film is the actual music video for renowned musician Common’s 11 th studio album by the same name, “Black America Again.” This video is the directorial debut for cinematographer extraordinaire, Bradford Young (Selma, The Arrival), and shares several of the most powerful messages portrayed in Citizen by Claudine Rankine. An exploration of Shakespeare's intentions when writing Othello, this short film rapidly, yet comprehensively explores the play's racial themes in a historical and contemporary setting, drawing wider parallels between immigration and blackness in the UK today. Charcoal captures the parallel stories of two black women and their lifelong journey to overcome internalized colorism, find self-acceptance and ultimately redemption. Despite the vast distances between them, these women both face a barrage of social messages from strangers and loved ones alike: That their darker complexion makes them less worthy of love, acceptance or respect. Charcoal exemplifies a valiant attempt to disrupt the generational cycle of self-hatred within communities of color. This series of three short film reflects the musical and visual narrative unique to Blitz’s personal experience. Based on his fourth studio album, “Diasporadical”, these films exemplify his travel between Accra, Salvador da Bahia and Brooklyn, NY. Blitz explains, “The radical notion that no matter how fragmented the African Diaspora is, the influence of rhythm and spirituality remains largely the same.” Diasporadical offers itself as a study of intersections between the global African experience and ongoing struggle of its people across geographical divides. A compelling document of the Black Panther Party leadership in 1967. This film contains a prison interview with Minister of Defense Huey P. Newton as well as an interview with Minister of Information. Eldridge Cleaver, footage of the aftermath of the police assault against the Los Angeles Chapter headquarters, demonstrations to free Huey at Hutton Memorial Park and the Alameda County Courthouse and a recitation of the party's Ten-Point Platform by co-founder Bobby Seale. One of Newsreels most widely distributed films, it was originally released as "Off the Pig" This short film features drawings from activist artist Emory Douglas. steps away from where she was murdered. With video and still images, Seyi Adebanjo documents the vigil and captures the love and support that the Transgender and Gender-Non- Conforming community brought to sustain each other and Islan's family during this emotional time. When you have a platform, how do you make decisions about whom to give that platform to? At a time when many works of video and film are well-produced, what other considerations do film programmers prioritize? This conversation focuses on the experiences and practices of some of today’s leading film curators. Michelle Materre along with Ashley Clark, a writer and film programmer from London, now based in New York; Dessane Cassell, a Joint Curatorial Fellow with the Studio Museum in Harlem and the Museum of Modern Art, currently working in the curatorial department of the Studio Museum; and Jon-Sesrie Goff, a filmmaker, multi-media artist, and curator will be on the panel. PUMZI, KENYA’S FIRST SCIENCE FICTION FILM, IMAGINES A DYSTOPIAN FUTURE 35 YEARS AFTER WATER WARS HAVE TORN THE WORLD APART. THE MAIN CHARACTER ASHA, RECEIVES A BOX OF SOIL IN WHICH SHE PLANTS AN OLD SEED. THE SEED GERMINATES, AND ASHA ASKS THE MAITU COUNCIL PERMISSION TO INVESTIGATE LIFE OUTSIDE. THE COUNCIL DENIES HER, PROMPTING ASHA TO ESCAPE AND PROCEED WITH THE SEARCH ON HER OWN. A FILM ABOUT INTERGENERATIONAL WEALTH FROM A MILLENNIAL PERSPECTIVE; A PERSONAL AND CULTURAL EXAMINATION OF THE WEALTH GAP IN AMERICA. THROUGH THE STORIES OF HER MEE-MAH'S CHILDREN, GRANDCHILDREN, AND SUPPORTING INTERVIEWS WITH PROMINENT RESEARCHERS, LAWYERS, AND FINANCIAL PLANNERS -- BLACK HEIRLOOMS EXAMINES THE NEED FOR INTERGENERATIONAL PLANNING TO TRANSFER FAMILY WEALTH, TRADITIONS, AND VALUES. FIELD NOTES IS AN EXPERIMENTAL PORTRAIT OF THE GHOSTS EMBEDDED IN THE CULTURE OF THE ISLAND NATION OF TRINIDAD AND TOBAGO. THE FILM IS STRUCTURED AS A VISUAL AND AURAL FIELD GUIDE TO THE GHOSTS SPIRITS AND JUMBIES THROUGHOUT THE ISLAND: FROM PERSONAL TALES ABOUT SHAPESHIFTERS AND BLOODSUCKERS, TO THE GHOSTS OF TRINIDAD'S PAST. THE FILM FOCUSES ON THE PLACES WHERE THE NATURAL AND SUPERNATURAL COLLIDE. VASHTI WILL JOIN OUR LEAD CURATOR, MICHELLE MATERRE FOR THE Q&A FOLLOWING THE SCREENING. Dirt and Deeds In Mississippi uncovers the largely unknown and pivotal role played by Black landowning families in the deep South who controlled over a million acres in the 1960s. They were prepared to put their land and their lives on the line in the fight for racial equality and the right to vote in America’s most segregated and violently racist state. In the face of escalating terror, Black landowners and independent farmers provided safe havens, collateral for jail bonds, armed protection and locations for Freedom Schools. They were often the first to attempt to register to vote and run for public office. Dirt and Deeds in Mississippi reveals the extraordinary story of a Delta community called Mileston in which 100 sharecropping families gained control of 10,000 acres of some of the best land in the state as a result of a radical New Deal era experiment in the 1930’s and in turn, became leaders of the movement in the 1960s. The film also presents new information about the infamous case of the three young activists murdered during Freedom Summer in 1964. Narrated by Danny Glover and winner of a Television Academy Award, Dirt And Deeds In Mississippi tells how an independent farmer and teacher who came to own the land on which his great-grandparents were slaves became the first Black candidate elected to a state-wide office in Mississippi in the 20th century. There will be a discussion following the screening with Charlayne Haynes, producer; Michelle DePass, co-director, Tishman Environment and Design Center and Dean, Milano School of International Affairs, Management and Urban Policy; Timon McPhearson, Associate Professor of Urban Ecology and Chair, Environmental Studies Program; and Mia White, Assistant Professor, Environmental Studies and Milano. Moderated by Michelle Materre, Associate Professor of Media Studies and Film and curator/producer, Creatively Speaking Film Series. Sponsored by the Bachelor's Program for Adults and Transfer Students and the Tishman Environment and Design Center. On the occasion of the recent restoration and re-release of Julie Dash’s 1991 masterpiece Daughters of the Dust, BAMcinématek celebrates the black women directors who blazed the trail for this landmark film. The filmmakers represented in this series all worked far outside the mainstream, often with limited resources, overcoming a historically hostile system in order to tell their stories on screen. Taken together, their work represents a rich history of long-undervalued independent filmmaking. Michelle Materre’s professional background spans decades of experience as film producer, writer, arts administrator, distribution/marketing specialist, film programmer and college professor. In 1992, the company she co-founded along with her three partners, KJM3 Entertainment Group, was responsible for the successful U.S. distribution and marketing of DAUGHTERS OF THE DUST. Her critically acclaimed film series, Creatively Speaking, has been a premiere forum for presenting works by and about women and people of color for twenty-one years. In February 2015, Creatively Speaking co-presented the unprecedented film series “Tell It Like it Is: Black Independents in NYC 1968-1986”, with The Film Society of Lincoln Center which was awarded the Film Heritage Award by the National Society of Film Critics. She recently co-produced the ground-breaking documentary by Crystal Emery, BLACK WOMEN IN MEDICINE, which was called an “inspiring doc” and “essential viewing” by film critic Gary Goldstein of the Los Angeles Times. In addition to holding a position as Associate Professor of Media Studies and Film at The New School, Ms. Materre is also an independent media consultant, advising filmmakers and organizations on fundraising, distribution, marketing, and exhibition strategies. Ms. Materre is a current member of the Board of Directors of Women Make Movies; former member of the Board of Directors of New York Women in Film and Television; a recipient of the “Distinguished Teaching Award” from The New School in 2005; a recipient of The Pen and Brush Society’s “Accomplished Women in the Arts” Award; as well as a featured artist in the much-acclaimed annual journal documenting contemporary artists, Artist and Influence. DAUGHTERS OF THE DUST BACK IN THEATRES! JOIN US FOR THE RE-RELEASE OF DAUGHTERS OF THE DUST 25 YEARS AFTER ITS ORIGINAL THEATRICAL PREMIERE AT THE FILM FORUM! In Haitian culture, "Fête des Morts" is a time of honoring the ancestors with offerings of food and music. Not unlike Halloween, this holiday originates in the indigenous religion of "Voudou". In most Western societies, "Vodou" is not understood and typically seen in a negative light, however, it is actually a celebration of the history, religion and people of Haiti. The films highlighted in this program offer a different perspective in an attempt to transform the imagination of out audience. Every New Year, and in celebration of their Independence, Haitian families gather together to feast in honor of a line of ancestors that fought for their freedom. The centerpiece of the festivity is the joumou soup—a traditional soup dating back centuries ago. The joumou soup is a concretization of war and victory, oppression and emancipation, and the deeply rooted celebratory traditions of the Haitian culture. In “Liberty in a Soup” we follow two Haitian families and a chef living in Gonaïves, Haiti and Miami, FL, to see how they celebrate and prepare the joumou soup for their Independence Day celebration. We embark on a three-day journey with each family as they showcase the ritual of their feast from the market to the kitchen and reveal the importance of keeping the joumou soup tradition alive. Follow us as we explore the historical events of what we’ve come to know as the Haitian Revolution and its worldwide impact. In this story of self-discovery, Haitian-American filmmaker Rachelle Salnave, documents her desire to find people who manage to share similar identity issues and turn love for their country into positive change. The Other Side of the Water follows a 20-year journey of the Haitian-American community, told through the lens of a vodou-based walking band in Brooklyn. The music is called “Rara”: part-vodou ceremony, and part grassroots protest. Rara originally served as a voice of the slaves in their revolt against the French and continued on as the voice of those struggling against ongoing dictatorship in Haiti. In this documentary film, Isabelle Boni-Claverie explores the role of race and the persistence of racism in France, as well as the impact of the French colonial past. Through an exploration of her personal family history, and interviews with historians and academics, TOO BLACK TO BE FRENCH peels back the layers of race relations in a supposedly institutionally colorblind France. Storming Papa Doc captures one of the most haunting blockades in Haitian history. 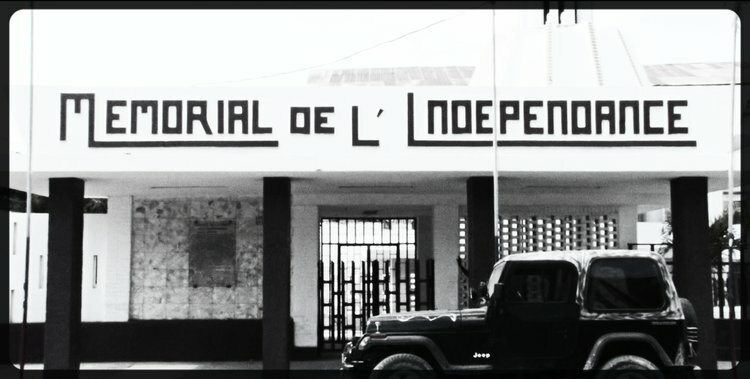 This documentary tells the story of events that occurred on July 28, 1958, when three ex-army officers from Florida went to Haiti, landed in Delugé, north of Port-au-Prince. They take possession of Dessalines’ Barracks located behind the National Palace. Their goal: the removal of Haitian President, Dr. François Duvalier. The three Haitian officers are accompanied by five American mercenaries. Director Mario Delatour captures this memorable siege through the use of animation and intercuts the story by documenting real life interviews from the people who survived the violent show down. For the generation who lived through this era, the night of July 28th, 1958 changed the course of Haitian history forever. MEDIA MAGIC MOUNT VERNON INTERNATIONAL FILM FESTIVAL! New York, NY (March 14, 2016) – Award-winning documentary director, producer and author Crystal R. Emery is launching a national initiative entitled “Changing the Face of Medicine.” Its inaugural New York City event will feature a book signing of her biographical photo essay entitled “Against All Odds: Celebrating Black Women in Medicine,” and a sneak preview screening of her latest documentary film, Black Women in Medicine, at The New School. The screening will be followed by a Q&A with filmmaker Crystal Emery, Dr. Aletha Maybank, and Dr. Doris Chang, hosted and moderated by New School faculty member, Michelle Materre. The Changing the Face of Medicine Initiative originated from a clear premise to educate and inspire generations of future doctors and healthcare professionals of color while providing motivation and role models needed to navigate the rigors of medical education. Despite decades of advances, the number of Black physicians has remained at levels that are shockingly low. Changing the Face of Medicine, with an initial focus on women doctors, aims to ultimately increase the number of all African American physicians from 4 percent in 2016 to 7 percent by 2030 in the U.S.
Join us on Wednesday, March 30th, 2016 at The New School, for a unique opportunity to engage with Black female doctors – women who offer invaluable insight on how the face of medicine can be changed to improve the health of a nation at large. Guest doctors include Dr. Ruth Reid-Thornton, Dr. Aletha Maybank, Dr. Travelle Franklin-Ford Ellis’ and Dr. Doris Chang. The most dynamic collection of stories of Black women in medicine ever assembled, “Against All Odds: Celebrating Black Women in Medicine” was created to inspire young African American women to enter the field of medicine despite the challenges they may face in breaking racial barriers. (Books will be available for purchase at the book signing). The book’s film companion, Black Women in Medicine, replaces the negative imagery - mainstream media’s false and debasing historical narrative regarding race, ethnicity, gender and character - with positive images of successful Black female doctors. This event is co-sponsored by The School of Media Studies, The Bachelors’ Program for Adults and Transfer Students, the Department of Mathematics and Natural Sciences at Eugene Lang College, The New School. Creatively Speaking Film Series is co-presenter. 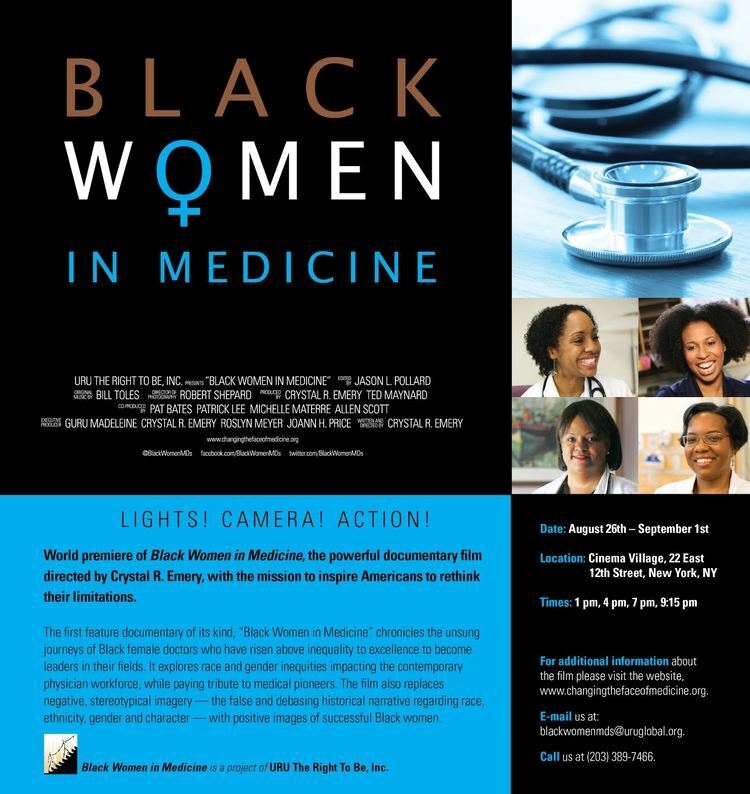 For more information about the initiative and documentary please visit ChangingtheFaceofMedicine.org, follow @BlackWomenMDs on Twitter, and visit Facebook.com/BlackWomenMDs on Facebook. For more information on Creatively Speaking Film Series, please visit CreativelySpeaking.tv, follow @CreativeSpFilm on Twitter, and LIKE us on Facebook.com/Creatively Speaking Film Series. EVENT IS FREE BUT RSVP IS REQUIRED HERE ! Filmmakers Kim Miller and Tamar Guimarães in person for a post-screening discussion. CHECK OUT MORE INFO ON THE EVENT HERE! Event includes Red Carpet, Reception, Live Performance, Awards, Film Screening and Q&A. Cocktails, Cinema & Revolution, celebrate Black excellence, artistry and activism. Honorees include Oscar-nominated director Ava Duvernay, MSNBC’s Melissa Harris-Perry, Black Lives Matter and actor Hill Harper of Limitless and CSI, NY. Sponsored by Radio 103.9 and the National Black Programming Consortium,Cocktails, Cinema and Revolution will take place Wednesday, February 10th, 2016 at the SVA Theatre in New York City. The festive affair will feature a live performance by vocalist/composer Jeremy James and a screening of the upcoming Lionsgate/CodeBlack film 1982. This special advance screening of 1982 launches Cocktails & Cinema, a new monthly series of films, cocktails, talkbacks and music at ImageNation’s RAW SPACE in Harlem. Starring Hill Harper, Sharon Leal, Wayne Brady, Troi Zee, La La Anthony and Ruby Dee, director Tommy Oliver’s emotional debut feature chronicles a Philadelphia father’s struggle to protect his daughter from the reality of her mother’s drug addiction. The film will be followed by a talkback with director Tommy Oliver, actor Hill Harper, image activist Michaela angela Davis and noted psychologist Dr. Jeff Gardere. Tickets are $32.50 in advance or $40 at the door.